The House of Lords may begin a lengthy and detailed enquiry into the social and economic consequences of the gambling industry if the recommendations of its Liaison Committee are approved by the House. 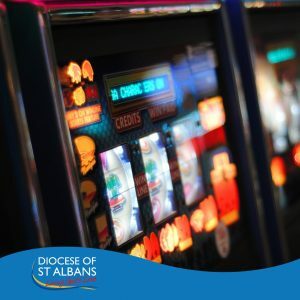 In January 2019 the Bishop of St Albans, the Rt Revd Dr Alan Smith submitted a proposal for the House of Lords to hold a special enquiry into gambling and its effects. More than 40 proposals were submitted by peers. The enquiry is one of four which have been chosen by the Liaison Committee and which are being proposed to the House of Lords for approval. Bishop Alan said: “This means we can start to meet the needs of problem gamblers and honour the hopes of the families of those who have lost their lives as a result of problem gambling. “An overdue enquiry, it will have the range, depth and authority to mount a truly evidence-based investigation. Currently, we have seen levels of suicide and other gambling-related harms becoming part of the national consciousness while 55,000 young people are now classified as problem gamblers.